Who remembers Spyrius? It was a small LEGO space theme released in 1994, and featured red and black wheeled mechs piloted by droids and humans. 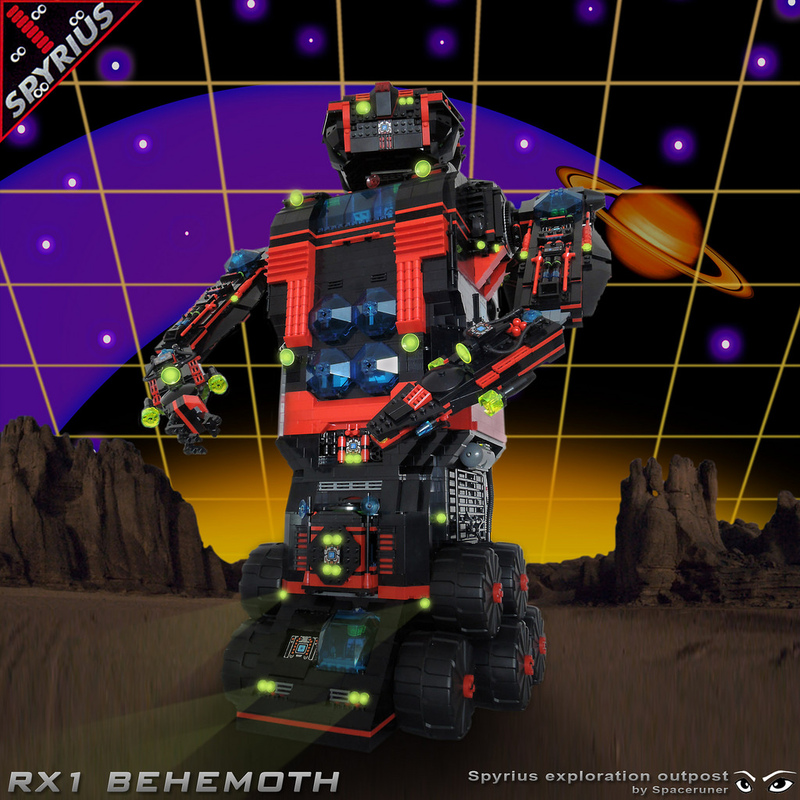 Builder Spaceruner has created a new supreme commander for the Spyrius legions, in the form of a mighty mech named Behemoth. This giant robot of doom stands nearly two feet tall (56cm) and can crush all who stand in its way with its 10-wheel drive. 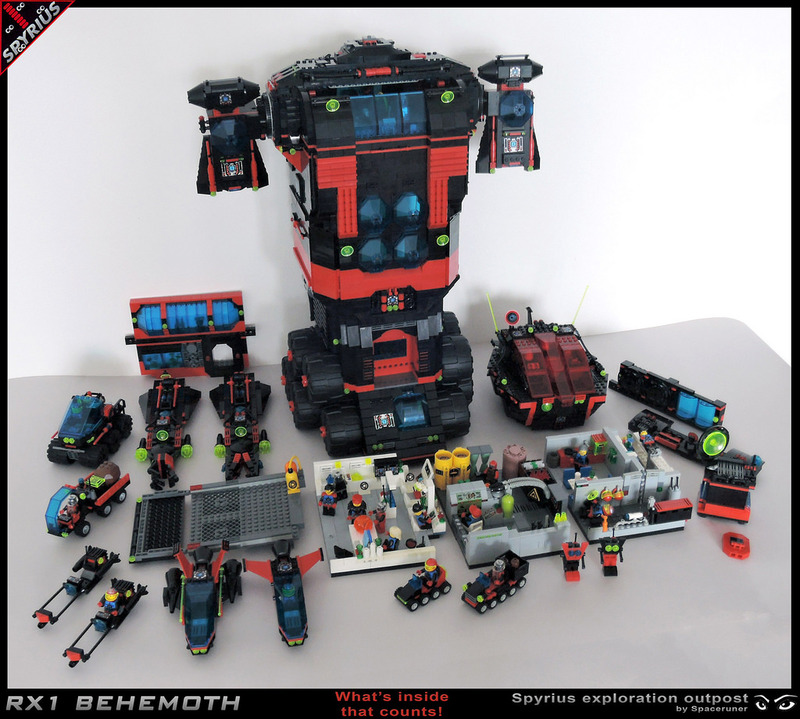 Clearly, Spaceruner’s Behemoth takes its design cues from the official 6949 Robo-Guardian set, and just like that set, the Behemoth is loaded with play features. Spaceruner intended this model to be played with, not to collect dust on a shelf. He’s built the model around an extra sturdy Technic frame designed to withstand the rigors of play, and I already want to drive it through a Unitron monorail like some giant space robot Godzilla. If the outside is impressive, though, just wait til you see what Spaceruner has packed inside. 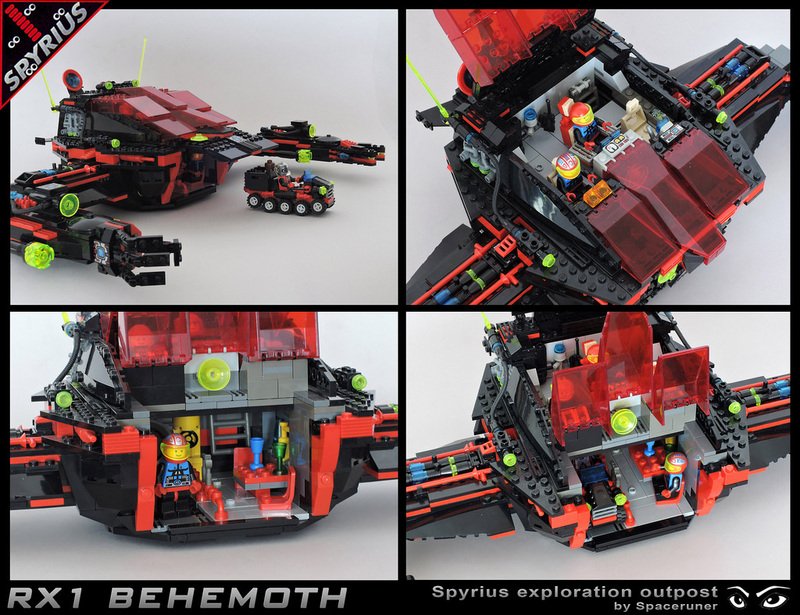 The Behemoth’s lower level is a cargo bay with room for a 6-wheeled truck that’s as large as the Robo-Guardian’s base. Meanwhile, just like the original Robo-Guardian, the Behemoth’s head and arms transform into a scouting ship. Onboard facilities include engine and control rooms, as well as a bridge, speeder bike bay, laboratory, crew cabin, and even a kitchen! The crew levels slide out for maximum playability, and the interior space can be converted into a large hangar for even bigger cargo. To see just how much playability Spaceruner has packed into this monstrosity, you have to see all the play features fully expanded. 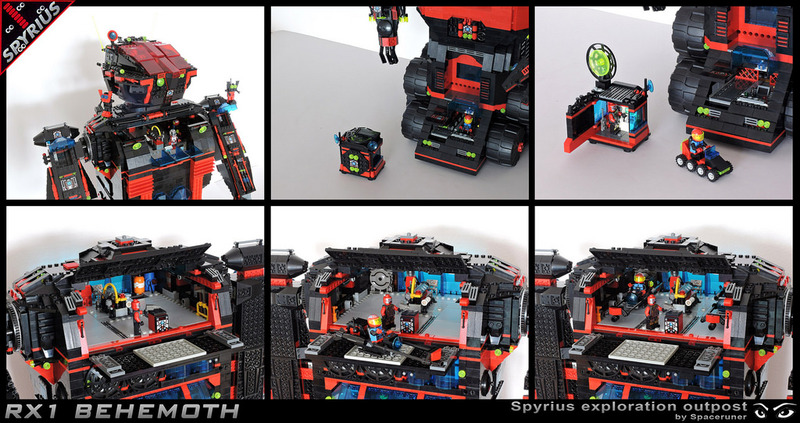 We feature a lot of models imitating the Classic Space and Futuron themes here on The Brothers Brick, but this has got me hoping to see some more of the Spyrius guys in red and black! I would have killed for something like this as a kid — and I have to admit I’d spend way too much time playing with it even now. 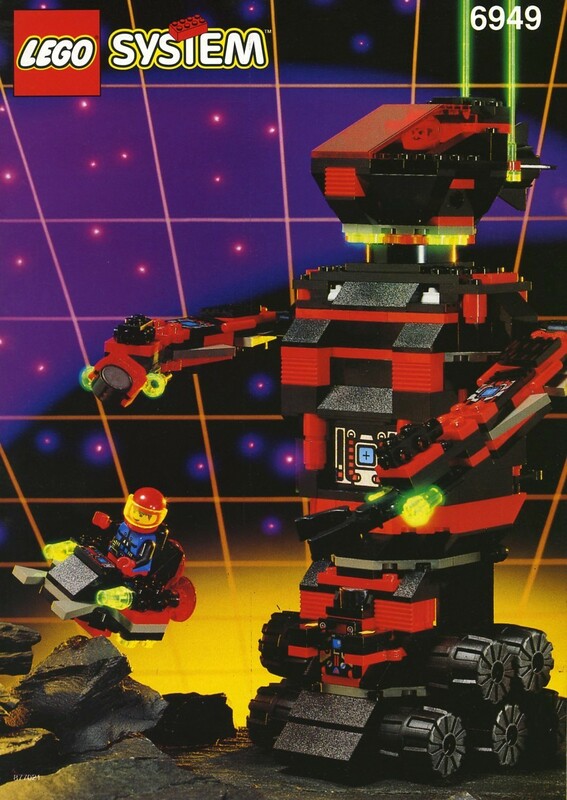 I loved that set as a kid. More pictures!